Beno wrote: Seeing he post about Al Green's albums above made me think of this. Four albums on 2 CDs for £9.99 from Amazon. A lot of people on here will probably have them but I haven't and I'm sorely tempted. I assume at least three of the four albums are excellent? Indeed they are, and because they're largely chronological (Gets Next To You , Let's Stay Together and I'm Still in Love With You), you can trace some sort of development of the Hi/Willie Mitchell sound. Or at least I think so, the sketches become increasingly richer, more wideranging and anticipate Call Me. That said, all three are equally excellent for different reasons (Gets Next to You is very playful, whereas I'm Still in Love with You has an incredible boduir ambience thing going on), and worth hearing. The Belle Album is also very good, albeit his most intensely involved, perhaps even autobiographical (?) work- a real mix of the secular and sacred. Incidentally, your post on the Motown 3-Disc "Anthology" inspired me to pick it up, and it's one of the best older things I've bought this year. The Right Summery Profile wrote: Incidentally, your post on the Motown 3-Disc "Anthology" inspired me to pick it up, and it's one of the best older things I've bought this year. Yes, I've got a lot of mileage out of it as well, quite literally as it's been on regular rotation in the car. It really is all killer and no filler, containing a very high % of the BCB cup soul choices. Yes, two or three classics there. Green is Blues is a mixed bag, but worth it just for One Woman. Call Me is my favorite Al Green album, but it doesn't include any of his biggest hits, although Here I Am (Come and Take Me) is pretty well-known. 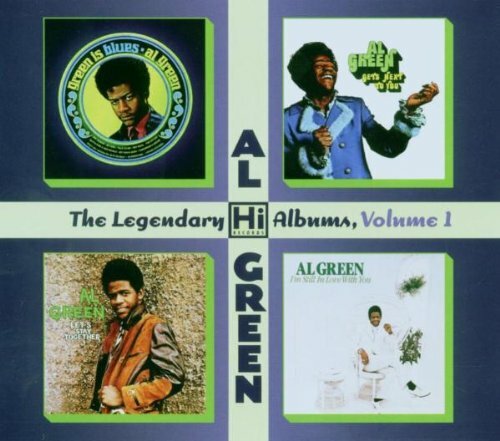 If i didn't already own the Al Green albums i'd grab that 4CD set in a heartbeat! Essential stuff! Let us know if the packaging is any good. I recently heard "Across 110th Street" by Bobby Womack, and I'm captivated by the track. I've realised I need some of his albums - what a voice! What's a good starting point and which are the essential albums? ("The Poet", presuambly). I understand this track is the title track from a film soundtrack - is that worth getting, or is it otherwise full of instrumental filler? I was agreeing with you, you knob! sorry mod, i was just surprised that you can whack the word 'essential' in front of something and call that a genre, sounds like a bunch of noddy holders grips to me. 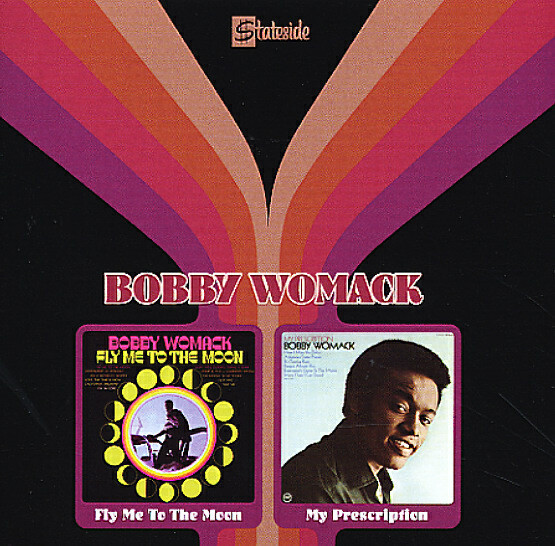 by the way, i too would like to be recomended some good bobby womack (silly surname though) as i too heard that song recently and love it lots and lots. 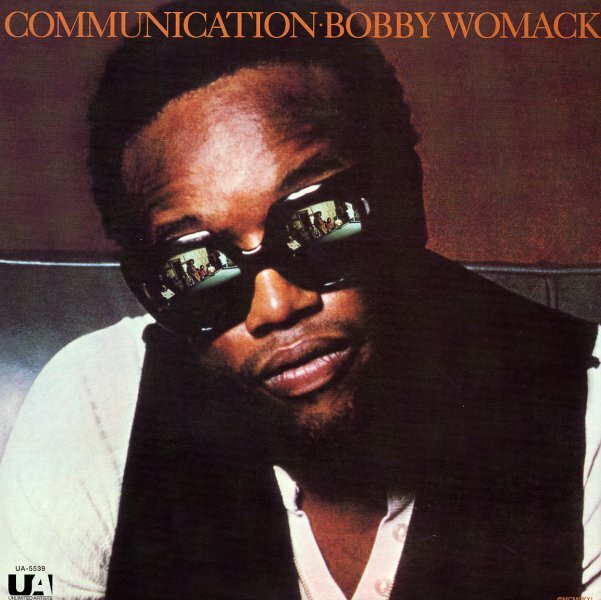 the masked man wrote: I recently heard "Across 110th Street" by Bobby Womack, and I'm captivated by the track. I've realised I need some of his albums - what a voice! When you re-read the title of the thread, you'll find it says "essential soul"
Yep, i think Guy's points are well made and largely make sense, if there is the total segregation of radio and chart in the US that there seems to be then I can totally understand this stuff not quite touching people in the same way. People here (and the people who write lists) can clearly appreciate and enjoy soul music but it's unlikely to have been the soundtrack of their lives. I'm not sure the uk is totally different, the stuff that seems to touch us deeply still seems to be stuff that has that cultural connection (although it seems to me that to most british posters here the barriers are harder to overcome with US rock than US soul) but Radio 1 or top of the pops has always been in large part about current black music that was often superior to the british white stuff. It wasn't stuff you had to seek out on a different station. does this mean that any other kind of soul is less necessary? it just doesn't matter as much? maybe some essential soul is optional. la giraffe wrote: maybe some essential soul is optional. Just listened to the Soul Fire Records comp. I'd describe it as stoner-garage-funk with some great samples for some DJ to lift. Lots of instrumental stuff, but anyone who likes early '70s funk will like this. sloopjohnc wrote: Just listened to the Soul Fire Records comp. I'd describe it as stoner-garage-funk with some great samples for some DJ to lift. *what he said* where'd you get that? The Soul Fire records comp. Vol2 is available for download on eMusic. i bet some other people would cite the big chill soundtrack, the preppy album, the blues brothers movie, and that atlantic compilation with the yellow cover which hit at the same time. i say great. any way you can get into it for real. i've got a cultural grounding to some extent (US south, and my dad partied w/ the tempts!) but the real route into soul music for me was english rock. just finding the originals of songs done by the who, the stones, the small faces, and those other guys from liverpool...that got me hooked. Jock wrote: The Soul Fire records comp. Vol2 is available for download on eMusic.